At the SPC Board of Directors meeting in January, at my recommendation, your board elected to transition our financial return structure to a “one pool” system at the beginning of the new fiscal year in March. This decision was arrived at after careful examination and thorough discussions amongst all, over time. Along with this change, all first advances on pool deliveries will be 80% of dock price, and second advances will be 90% of expected final returns. I’d like to explain why this is so important to our cooperative. I recognize there was a time when the multi-pool (over 230 different pools) system worked fine. 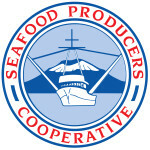 This was during times when volume running through our cooperative was at or near our capacity to produce and sell fish. During restricted capacity times, not every pound of fish is critical to profitability. In fact, the product mix decision becomes very important to the overall profitability of the enterprise – higher contributing fish take higher priority. As you all know, we are nowhere near our capacity at this point in time, and every pound of profitable fish is critical. As we are approaching year-end, I’m very pleased to let you know that we have had a “decent” year. While our volume did not attain the goal we had established at the beginning of the year, our selling prices were much higher than we forecasted, and our costs were lower. If we were to settle this year’s books as one pool, the return is estimated to be at around 112%. One pool also puts us on a level playing field with our competition. Every company that sells a range of different products understands that not every item has the same level of profitability. This is part of a company’s product mix decision. If you step away from “fish” for a moment, and just think about this being any business with multiple product lines, you have to constantly balance the overall prices you are receiving with your costs. When your main ingredient cost for a particular product goes up (think dock price of a certain species), several decision criteria enter your thought process: 1) can I extract that extra cost from the marketplace so that my margin remains the same, and 2) if not, does it still make sense to the overall entity to carry this product line? (ie, Is its presence still helping me cover overheads? Is it strategic to our product mix? etc.) With our traditional pool method, we could only consider #1 above, not #2. We are all in this together. We are a cooperative. To say that we don’t need each other’s volume, regardless of the species, would be a fictitious statement. While some volume does carry more of the load than other volume, we don’t work in isolation from each other. The long-term health of our cooperative mandates this mindset. We want to encourage pooling. This is one reason we are changing our advance to 80%. Pooling vs. cash is simply less risky to the cooperative. With that said, we completely understand that your lack of confidence in our ability to return a profit to your particular pool had fueled your desire to sell for cash. The 80% advance with one pool is actually far less riskier to the cooperative than 70% advances with many pools because the variability that exists within any given species is smoothed out across all species – very similar to the variability that exists with owning stock in one company versus an entire stock portfolio. We also have a plan to advance our FAS fleet at a significantly higher level than we have done in the past. We hope this will help draw back some of those folks that we lost over the past couple of years. We know that setting an accurate dock price, for all species, will be key to the success of this new method, and we will strive to continuously be better at this. The staff of your company has worked very hard this year to turn this ship around. We have reduced costs, increased selling prices, transitioned several key leadership roles, and we are very close to “going live” with our new integrated computer system, which will provide more accurate and more timely quality information to all of us, so that better decisions can be made quicker. I believe we have seen the bottom, and that was last year. In fact, I’ve never been more optimistic about our future than I am right now. I personally want to thank you all for your continued support, and we look forward to serving you during the upcoming season.